The Good Food Purchasing Policy specifies that everything the students in L.A. Unified School District eat must be local, sustainable, humane, fair, and healthy. And it’s becoming a model for the nation. Daniel Blackwood has witnessed a couple of big changes since he started working as a delivery driver for Gold Star Foods, the food distributor for the Los Angeles Unified School District (LAUSD), three years ago. For one, the quality of the cafeteria food is better. Healthier food isn’t the only area of improvement. Blackwood, a union shop steward who helped unionize other Gold Star drivers in 2015, also says that labor practices at Gold Star have improved. 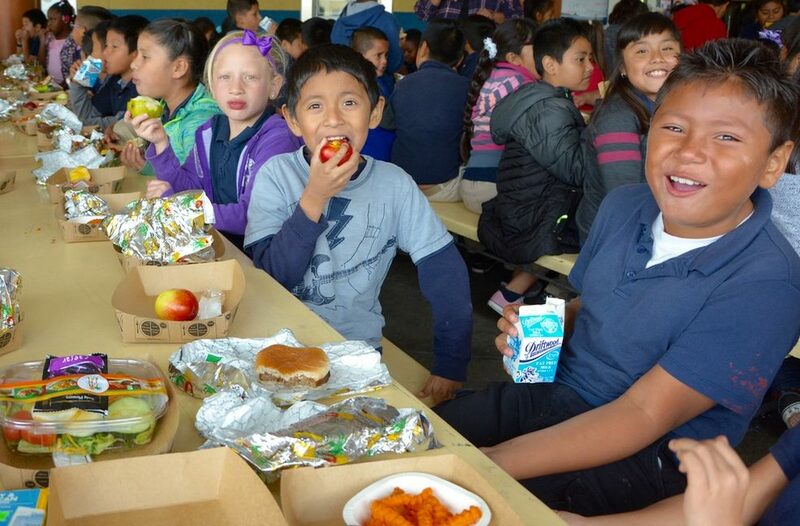 At first glance, improved conditions for the drivers and better food at LAUSD may not sound like they’re related, but both changes can be directly traced to something called the Good Food Purchasing Policy (GFPP). The policy directs tens of millions of dollars in taxpayer funds spent on institutional food to support five overarching values: local economies, environmental sustainability, fair labor practices, animal welfare, and healthy food. The policy was developed, with input from multiple stakeholders, by the Los Angeles Food Policy Council in 2012. Most comprehensive policy in the country. The council wasn’t the first group to draw the connection between the billions of dollars spent each year on food procurement by schools, hospitals, and other public institutions and the larger task of building a healthy, equitable, and sustainable food system. Nor were they the first to push for supply chain transparency from farm-to-fork. But the policy is the first to use a values-based, point-system rating (like LEED certification, but for food). It has been credited as the most comprehensive in the nation, and the only one to give equal weight to worker welfare. Stephanie Ewing, vice-president at Gold Star Foods, says the adoption of the Good Food Purchasing Policy gave the company an opportunity to apply a “values-based approach” to purchasing. What’s more, they can quantify whether to work with producers using a clear set of metrics, goals, and benchmarks based on the policy’s guidelines. The council developed the policy in 2012. In October of that year (on National Food Day), the Los Angeles mayor’s office and the city council pledged to uphold the policy, issuing an executive order to all city departments to follow the five values when buying food. Weeks later, the LAUSD school board signed on to the GFPP. It was a significant statement by the largest public school district in California, which serves upwards of 650,000 meals a day and spends $125 million on food every year. Power of public contracts to shift purchases. The power of the public contract became clear in early 2016 when LAUSD’s renewal of a five-year contract with Tyson to supply the district’s chicken came under scrutiny. 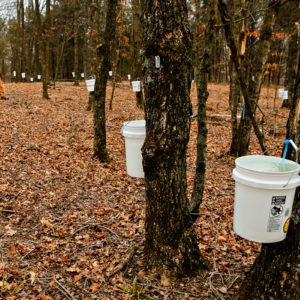 Citing the GFPP, organizations like the Food Chain Workers Alliance (FCWA) argued that Tyson did not meet the baseline value for employee welfare, and should not be awarded the multi-million dollar contract. 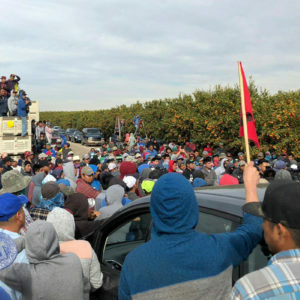 They cited OSHA violations, and disregard for sustainability and the basic dignity of poultry workers. Eventually, the school board assigned the chicken contract to Gold Star, which had a better track record of working with food producers that met the GFPP baseline values. In addition to new chicken contracts, the policy has resulted in an increase in purchases from local small and mid-sized farmers. 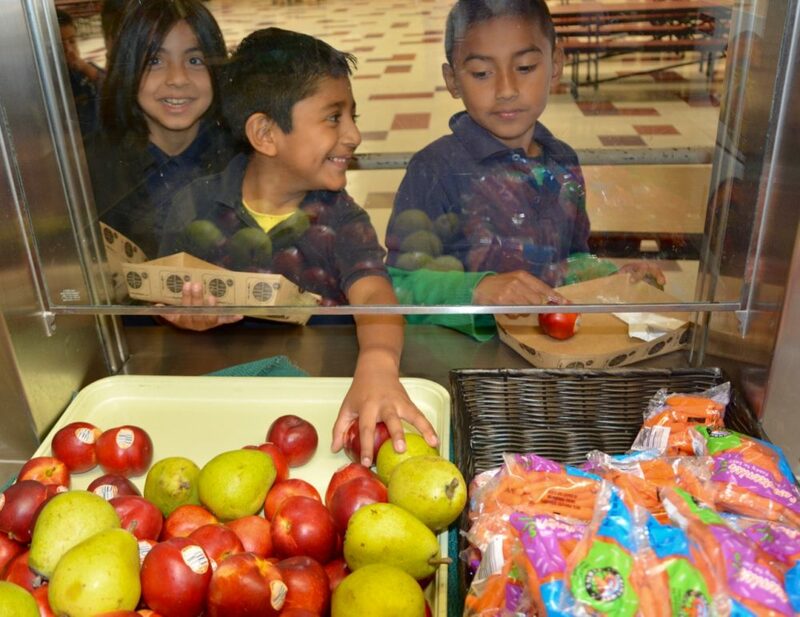 Before, about 10 percent of the produce served in schools was sourced within 200 miles of the district. Today, that number ranges from 50 to 72 percent, depending on the season. In one example, Gold Star partnered with Shepherd’s Grain to source wheat from Robinson Ranch, a family-owned sustainable wheat farm in Merced, California. The wheat is grown for LAUSD on the farm, milled in Los Angeles, and baked into 40 million dinner rolls, knotted buns, and other kinds of bread for the students. Robinson Ranch benefit, says Ewing, because they have a guaranteed customer in LAUSD, which buys about 160,000 bushels of wheat a year. Challenges remain, but the model is being replicated. Still, Delwiche acknowledges that implementing the policy at the nearly 1,100 schools in LAUSD, didn’t come without challenges. Initially, many school administrators didn’t understand what the GFPP was, not to mention why it was important, or how it worked. Plus, all five values—local, sustainable, humane, fair, and healthy—must hang together and cannot be separated for the sake of ease or simplicity. And all producers and distributors must be checked to verify that they meet (and continue to meet) the baseline in all five categories. This is a time-intensive prospect. The Center for Good Food Purchasing developed in response to those early challenges. They act as a national clearinghouse for the GFPP, providing analysis, tools, and guidance to help schools and other institutions navigate the initial steps of signing on. Los Angeles has become an example of what’s possible when values-based procurement becomes the norm. 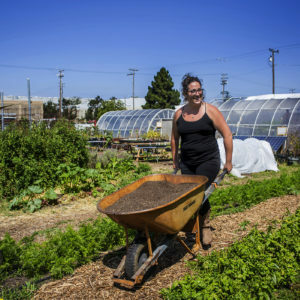 Now, food advocates in Long Beach are lobbying the city government to adopt the policy. And San Francisco Unified School District paid attention. At the end of May, the S.F. Board of Education voted unanimously to adopt the GFPP, becoming only the second school district in the country to do so. Stay tuned for part two in this series, which examines how the Good Food Purchasing Policy and other institutional buying efforts are taking root all around the U.S. Photos by Jorge Gil, senior graphic illustrator at the Los Angeles Unified School District Food Services Division. When your schools are within 200 miles of the most productive fruit and vegetable farms in the United States, this is an easy call. No mention of Jamie Oliver? Considering "Jamie Oliver's Food Revolution"--which publicized the disgusting food that was being fed to L.A.'s schoolchildren--ran 2010-2011 and the L.A. food policy was put into place in 2012, I suspect a connection.